Everton must take an "honest" look at Premier League rivals' budgets before aiming for the top six, according to manager Marco Silva. Defeat to Brighton on Saturday left Everton with just one win in their last seven top-flight matches and 12 points behind sixth-placed Manchester United. Everton spent around £90m to bring in Richarlison (Watford), Yerry Mina and Lucas Digne (Barcelona) in the summer, having shelled out double that figure on signings last season. "We as a club didn't say once we will challenge for the top six," a guarded Silva said, ahead of facing Leicester City on New Year's Day, who sit above them in the table. "I don't know why you are asking me this situation about what I want, it is not a lack of ambition, because we have big ambition behind us as a club but we have to be honest and fair as well and look for the other clubs' budget." 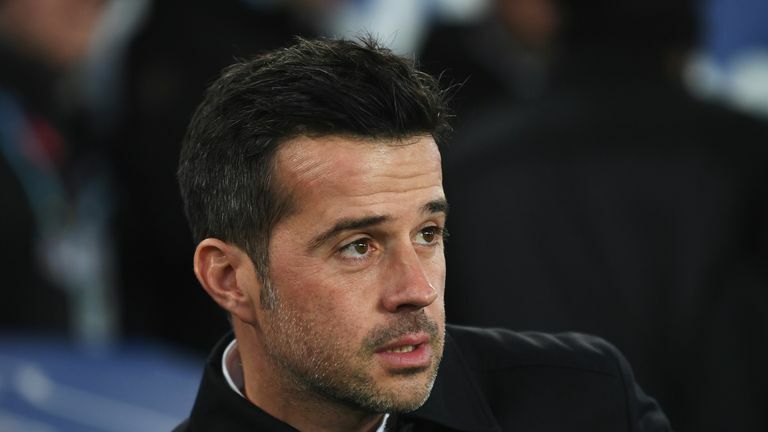 Silva refused to accept Everton will not finish in the top six this season, but indicated the club are laying the foundations for a future challenge to the English super powers. "If we can fight for something we will fight," he said. "But we have to be smart in these types of things as well. "Our goal is to win the next match. Even if you are an ambitious club you have to create conditions that in the future you are able to fight with this top six like you want."